On the Cover: Common waterhemp is a dioecious weed species, meaning it has distinct male and female organisms. It is a prolific seed producer and the most problematic weed in corn and soybean production fields in Nebraska, USA. Read a paper by Sarangi and Jhala (pages 1075-1089) to learn how to control common waterhemp in corn using a new herbicide premix. Debalin Sarangi, Amit Jhala. 2017. 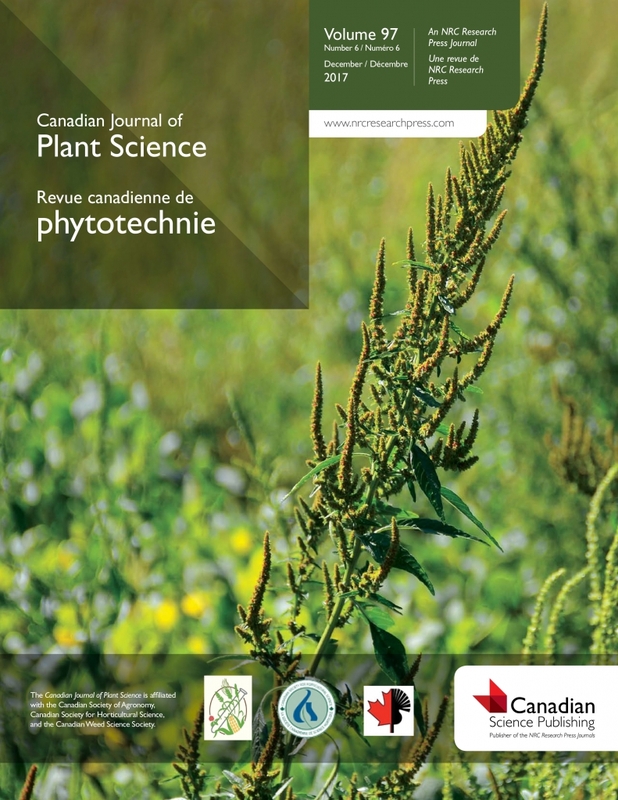 Biologically effective rates of a new premix (atrazine, bicyclopyrone, mesotrione, and S-metolachlor) for preemergence or postemergence control of common waterhemp [Amaranthus tuberculatus (Moq.) Sauer var. rudis] in corn. Canadian Journal of Plant Science 97(6): 1075-1089. Debalin Sarangi is a postdoctoral research associate in the Department of Agronomy and Horticulture. Amit Jhala is an assistant professor in the Department of Agronomy and Horticulture.